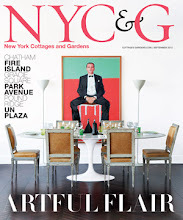 My little living room has been getting some good press lately, largely as a backdrop to my headshot and as an illustration for how to Downton-ify your apartment. 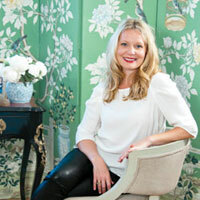 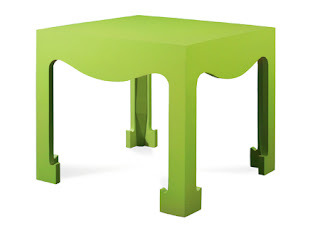 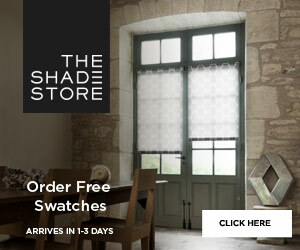 The element that gets the most attention, is my candy apple green folding screen from Gracie Studio. 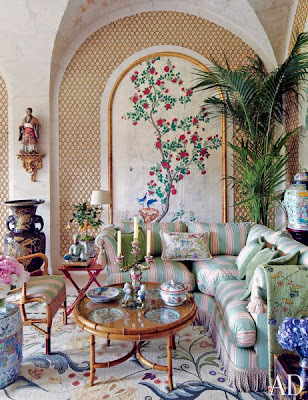 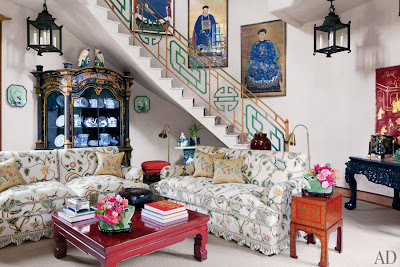 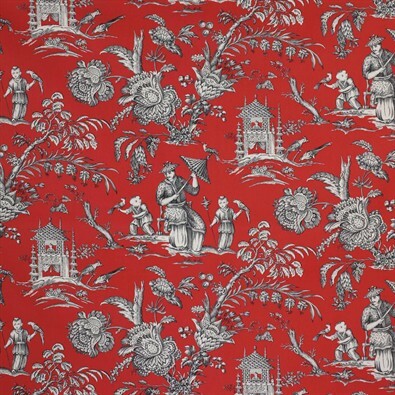 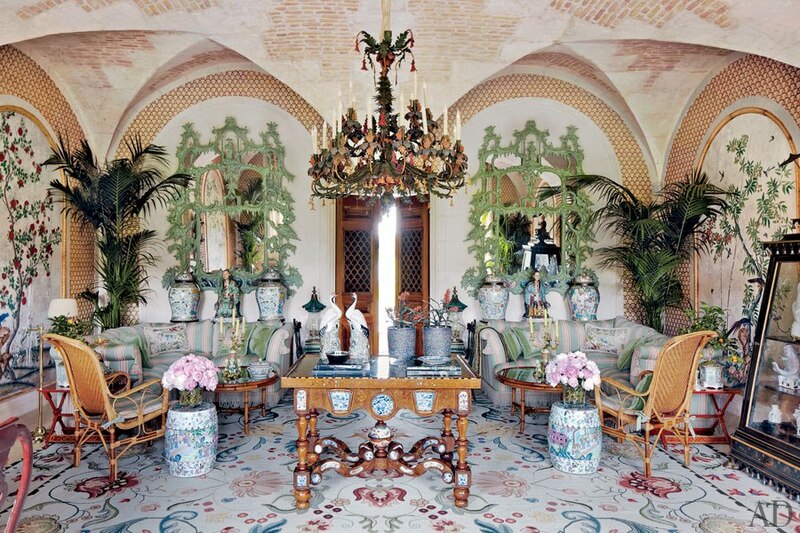 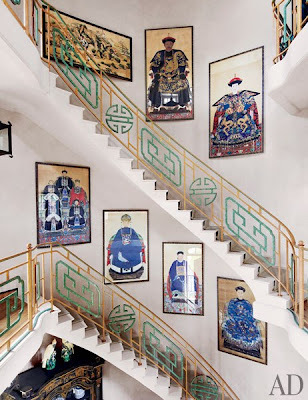 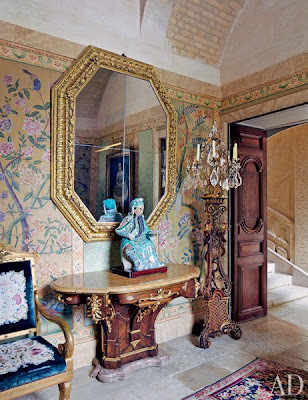 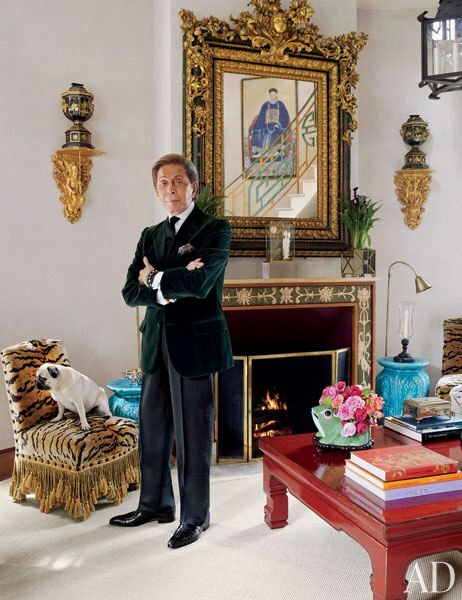 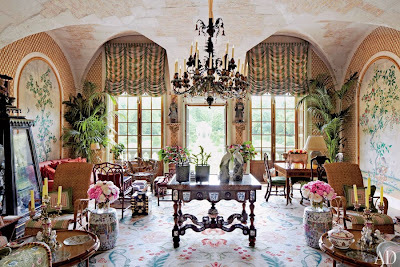 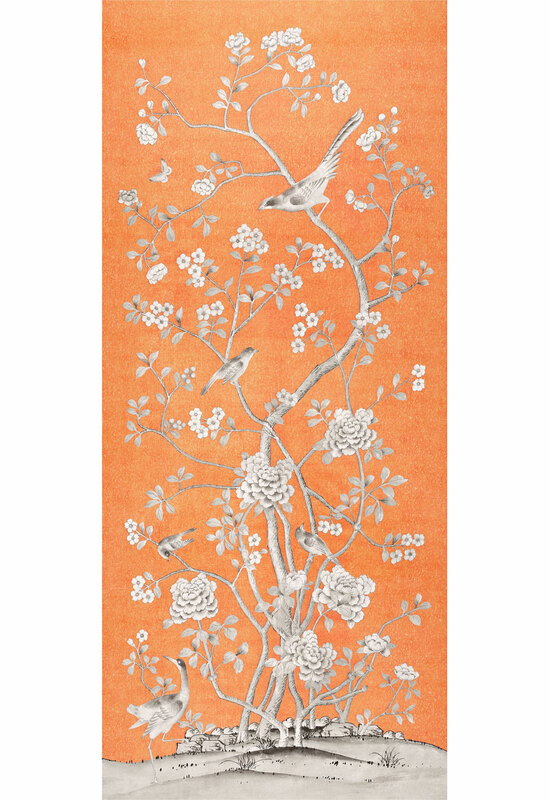 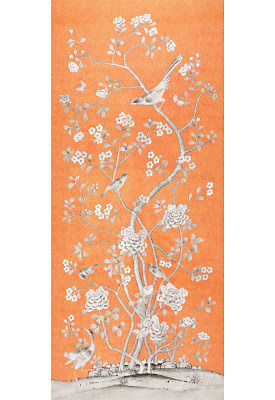 When asked what inspired this element of chinoiserie, my answer is simple: Garavani Valentino's Asian inspired, Chateau de Wideville, on the outskirts of Paris (all photos courtesy of Architectural Digest). 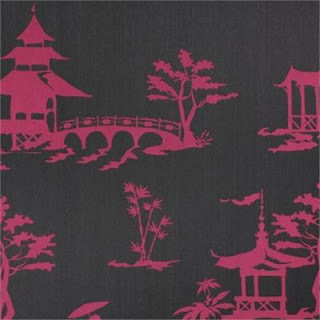 Although Wideville is far more grand and a bit more traditionally layered than I tend to design, I adore the Asian inspired profiles, graphic designs and color combinations that the aesthetic brings and often use those touches to accentuate to my design schemes. 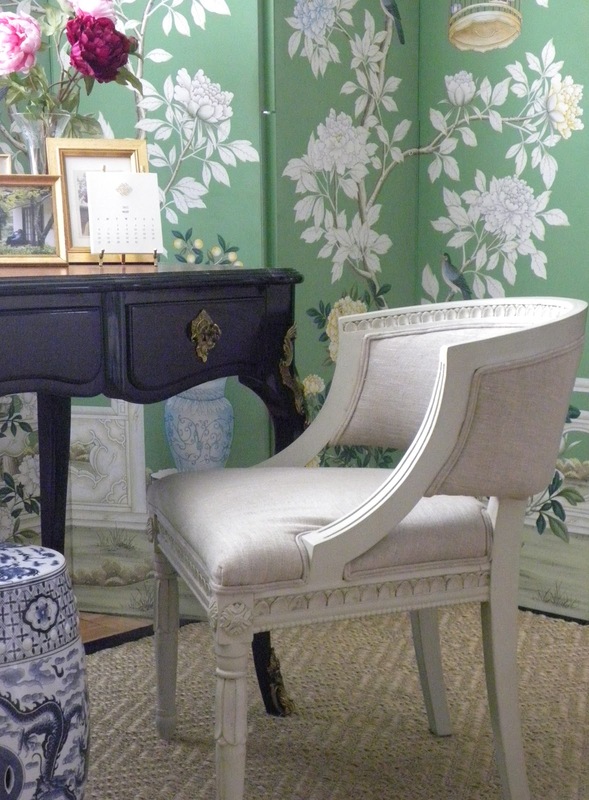 It is the hand-painted floral wallpaper in particular that served to inspire my home and while I love the large florals, I also wanted to contemporize it a bit, thus the green background. 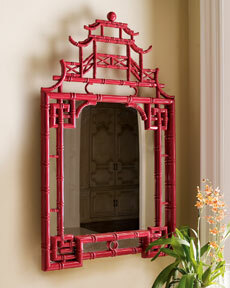 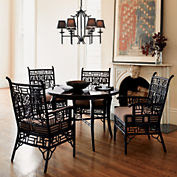 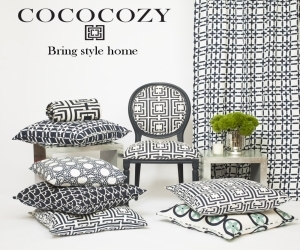 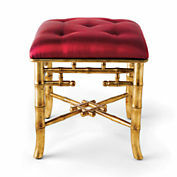 If you, too, like touches of Chinois, but with a twist, check out a few of these elements as additions to your decor.